Hundreds gather on the Bangor campus to say goodbye to Stephen Colvin, who died in a ski accident Tuesday. 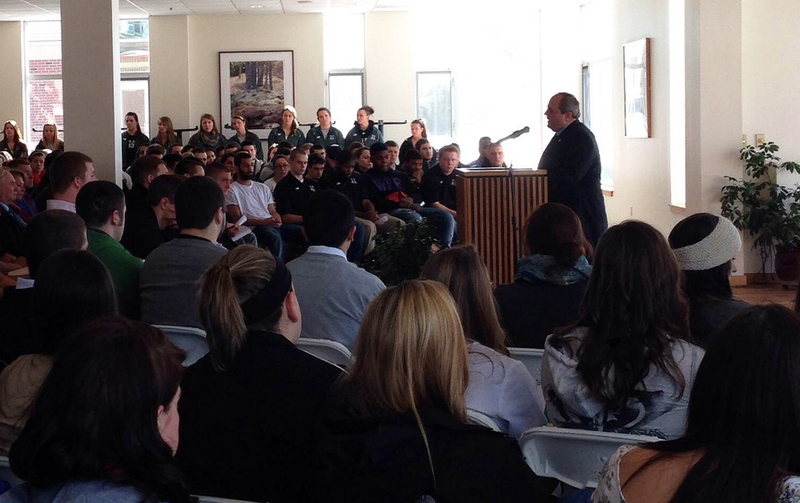 BANGOR — More than 300 faculty members, fellow athletes and friends of Stephen Colvin, many in tears, gathered Friday afternoon at a memorial service for the Husson University student who died in a ski accident this week. The G. Pierce Webber Campus Center overflowed with members of the Husson community, who said they sharply felt Colvin’s loss, despite the fact he’d just arrived on campus in the fall. Colvin, of Hoosick, N.Y., died Tuesday morning while on a ski trip at Sugarloaf Mountain with Pellerin, Pellerin’s cousin and teammate Ryan Stroud. The four were on their second run of the morning when Colvin lost control on Hayburner, a black diamond trail, and crashed into the trees. Colvin’s enthusiasm, positive attitude and constant smile were recurring themes for all who spoke at the remembrance, including about a half-dozen members of the football team, Chaplain Sarah Pringle-Lewis and President Robert A. Clark. Those who spoke commented on Colvin’s commitment as a teammate and determined student — until it was time to have some fun. “For those of you who knew Steve, you can all relate when I say that Steve was a pretty crazy dude,” Stroud said. Pellerin recalled a story that summed up Pellerin and Colvin’s close relationship as well as Colvin’s affinity for some rambunctious times. “We went out to a party one night after homecoming and (Colvin) decided he wanted to get up on my shoulders,” Pellerin said. “So I was just walking around the party with him on my shoulders and these two (guys) were like, âYo, do you guys want to have a chicken fight?’ Steve was like, âYea, yea, let’s do it.’ So we’re over here and I say to Steve, âHow do you want to go about this?’ And he jumps off my shoulders and tackles the guys. 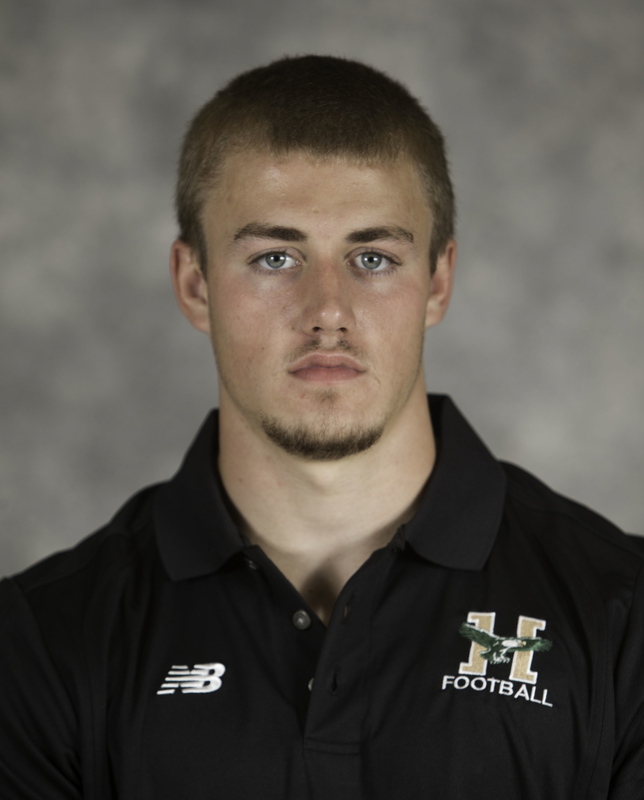 Before the start of the school year, Colvin showed interest in coming to Husson and joining the football team, according to head coach Gabby Price. Stroud, and the rest of Colvin’s teammates that spoke, echoed that sentiment.